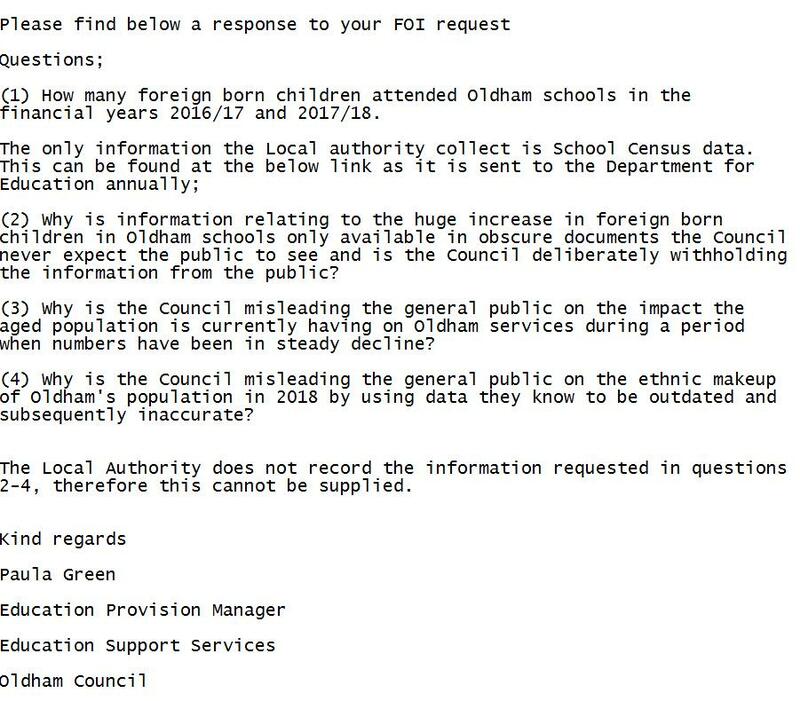 Here’s Oldham Labour Council’s response to our freedom of information request on the numbers of foreign born children in Oldham schools. 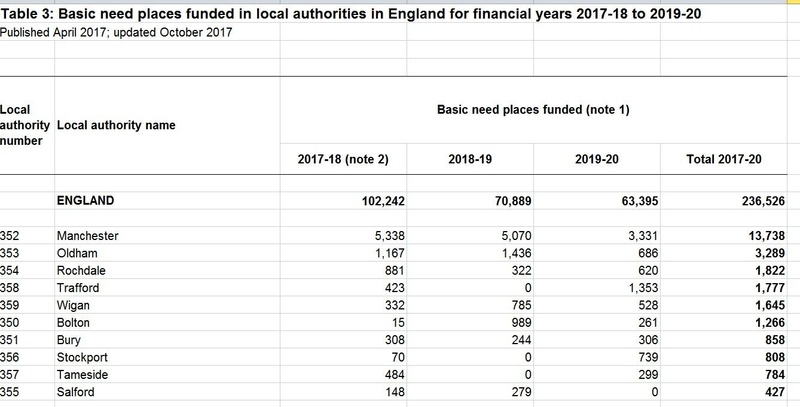 Apparently the Council the body who oversee school admissions don’t actually collect any data and get all their information from the annual government school census.We already have the school census data but didn’t want to use it because it is always a year behind. It’s easy to see why the Council don’t want to be helpful when the school census data shows that the numbers of foreign born children in Oldham schools grew by 777% in the four year period between spring 2013 and spring 2017 from 318 pupils to 2,471 with 67.5% of all foreign born children arriving from the EU. In reality this number is far higher because 25.5% of school pupils in Oldham have not had their birth Country classified, in comparison only 7.8% of pupils in Rochdale have not had their birth Country classified. Using the figure we have of 2,471 pupils which represents three quarters of children we can safely add another quarter to the figures and state there are approximately 3,295 foreign born children in the Oldham education system, that is an increase of 1036% in four years. After campaigns from pressure groups the government have now removed the country of birth from future school census collection data. This means places like Oldham, where the education system has been brought to its knees by the ludicrous rates of child migration, will be able to continue expanding schools under the pretence that school capacity requirements are growing at a natural rate which they are not. When it came to the other questions we asked about false and misleading representation of population data for which we presented examples from Council publications the Council just stated “The Local Authority does not record the information requested in questions 2-4, therefore this cannot be supplied.” The sheer arrogance of Labour Oldham to respond with a virtual shrug of the shoulders after being accused of presenting misleading information and untrue information on and to Oldham’s population. After a 372% increase in 2 years how many foreign born children are now attending Oldham schools? Oldham Council produced a document titled “Link_Governor_Report_9_May_2017___PDF” in 2017 which was publicly accessible via the Oldham Council website. The main focus of this document was “An Overview of EAL Performance from Early Years to Key Stage 4” contained in this document was information that showed the number of foreign born children in Oldham schools had increased by 372% in just two financial years from 318 in 2013/14 to 1182 in 2015/16. Oldham Council’s local plan update document also from 2017 and also publicly available contained the statement that “Oldham’s older population (65+) is higher than the Greater Manchester and England averages” parts of this statement are misleading and parts are wholly untrue. At the time the local plan update was produced 17.9% of the population of England fell into the 65 or older age bracket whereas 15.8% of the Oldham population fell into the 65 or older age group which made Oldham’s aged population 11.7% lower than England’s. As Oldham Council was aware the Greater Manchester average was and is greatly skewed by the inclusion of the university city of Manchester and to a lesser degree Salford. These cities have fewer OAP’s because of student numbers and unsuitable city centre housing and these are the only two of the ten Greater Manchester authority areas with less OAP’s than Oldham. Bolton, Bury, Rochdale, Stockport, Tameside, Trafford and Wigan all have considerably more OAP’s than Oldham. DWP figures show that between August 2013 and August 2017 the number of state pension claimants in Oldham fell by 562. Oldham Council’s publicly available “Oldham in profile” document from February 2018 states “Oldham is predominantly white (77.5%) with Pakistani heritage (10.1%) and Bangladeshi heritage (7.3%) as the largest non-white minorities. 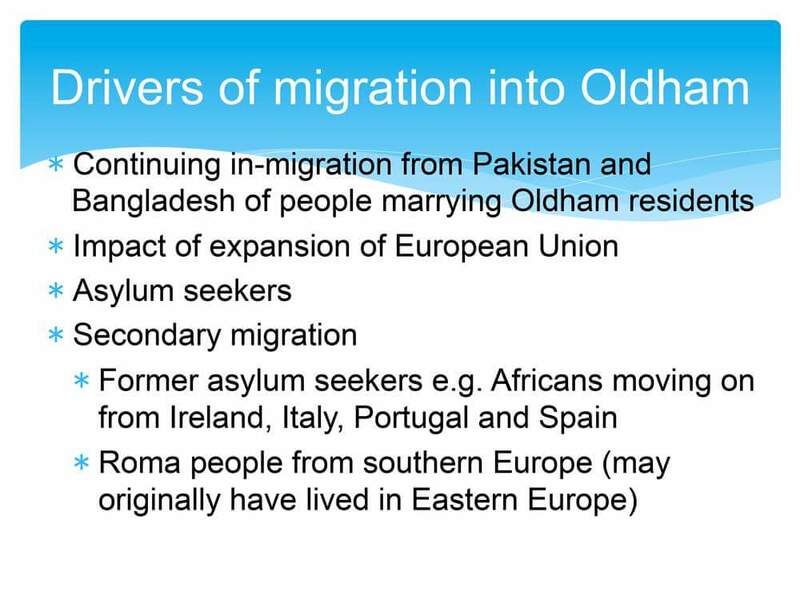 Oldham has a higher proportion (22.5%) of non-white residents than Greater Manchester (16.3%) or England (14.3%). This value has increased significantly from 13.9% in 2001” This information is from the 2011 census and is seven years out of date a seven year period which has seen the highest rates of immigration in Oldham ever recorded. (1) How many foreign born children attended Oldham schools in the financial years 2016/17 and 2017/18. (2) Why is information relating to the huge increase in foreign born children in Oldham schools only available in obscure documents the Council never expect the public to see and is the Council deliberately withholding the information from the public? (3) Why is the Council misleading the general public on the impact the aged population is currently having on Oldham services during a period when numbers have been in steady decline? (4) Why is the Council misleading the general public on the ethnic makeup of Oldham’s population in 2018 by using data they know to be outdated and subsequently inaccurate? 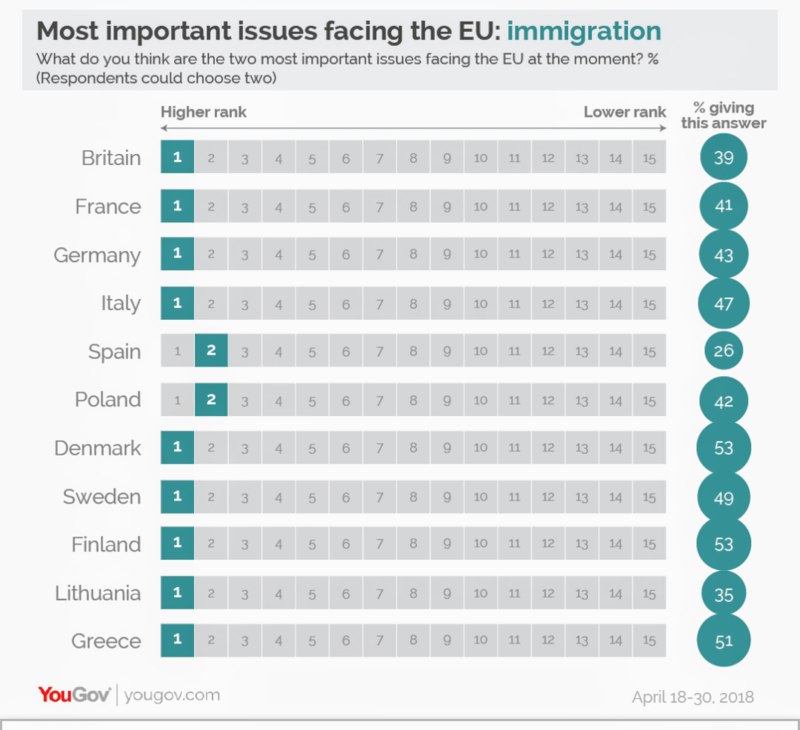 When did the people of Oldham get asked if they would like their town centre to be overrun by Eastern Europeans and migrants originally granted asylum status in other EU countries? Labour Oldham continues its three unwise monkeys approach to the subject of mass immigration.